1. My daughter returned from her mission trip to Catadupa, Jamaica late last Saturday night. What a life-changing experience for her! 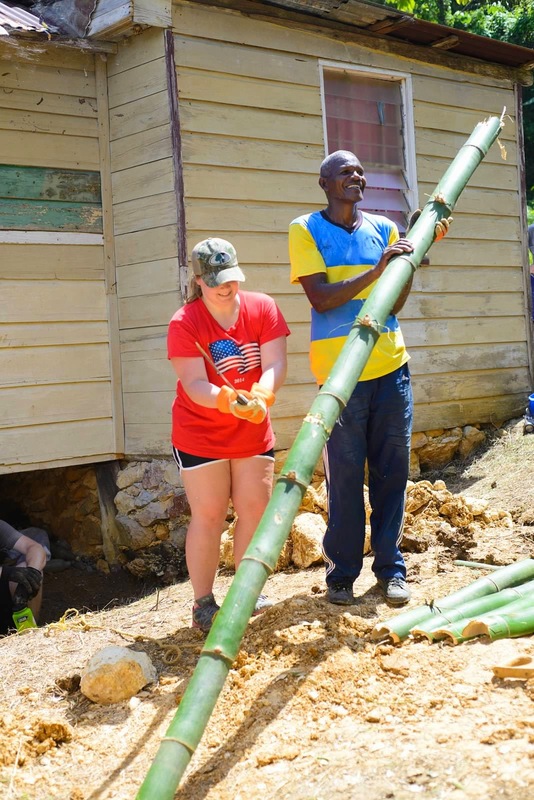 She worked so hard: cutting rebar, planting trees to beautify the spring, building two outhouses, laying concrete, chopping bamboo with a machete. She also worked with kids at "Vacation Bible School" type activities. No AC, no hot water, no WiFi! I am so proud of her. She would love to go back in two years when our church is scheduled for their next Jamaica mission. 2. I've been eating healthier this week... until tonight's dinner. It was so delicious! Parpadella pasta. chicken, and mushrooms in a cream sauce and garlic bread. Oh well. More time at the gym tomorrow. I've been to the gym three times this week. Once you clear 45, preventing weight gain, much less losing weight, is much more difficult. 3. My daughter leaves for college in 16 days. She will be 6 1/2 hours away, so definitely not an easy weekend visit. She is mini-me, and I don't know what I'm going to do without her! She's excited, and I'm excited for her, but I know I am going to bawl my eyes out. 4. Thankfully my son, her twin, is staying home. Actually, I was worried he wouldn't go to college at all. He doesn't know what he wants to do, and I think he feels like college is too hard, or maybe he is scared in some way. He is used to his sister getting academic accolades, but he is no dummy! He lacks confidence, but I am pleased that he is going to take classes at the junior college. That should show him he can do it, and maybe he'll decide what he's most interested in pursuing. 5. A friend of mine used to attend church with the parents of the doctor who has contracted Ebola in Africa. He has been doing mission work with Samaritan's Purse. Today, the CDC sent a serum, not a cure, but something that should help, but they only had enough dosage for one person. Dr. Brantley said to give it to his co-worker, a middle-aged female. That, IMHO, is the epitome of self-less-ness. The mortality rate is 60-90%. Please pray for them. 1. 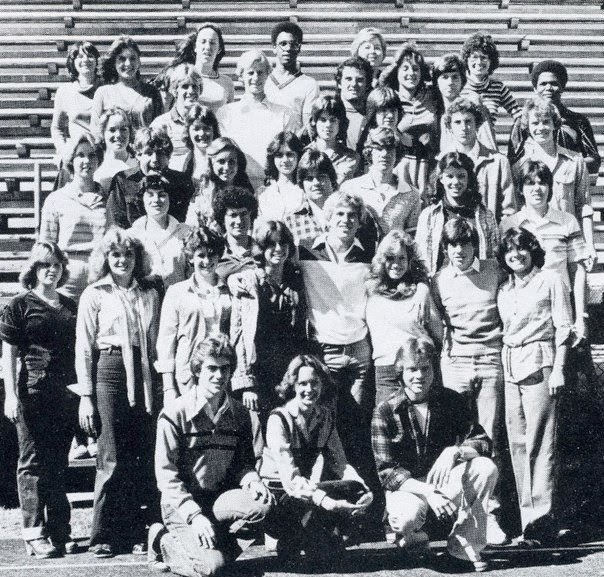 It's Friday, not Thursday, but here's a Throwback Thursday photo taken my freshman year of high school (1979-1980). It's a photo from a newspaper article about student council. Which one am I? 2. Jamaica - My daughter with the machete, smiling while she works. 3. 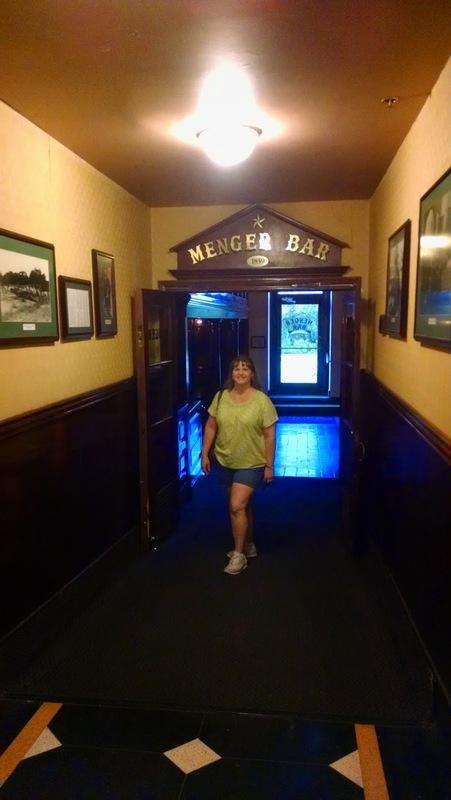 The Menger Hotel bar in San Antonio. The Menger is the most historical and most haunted hotel (they say) west of the Mississippi. 4. 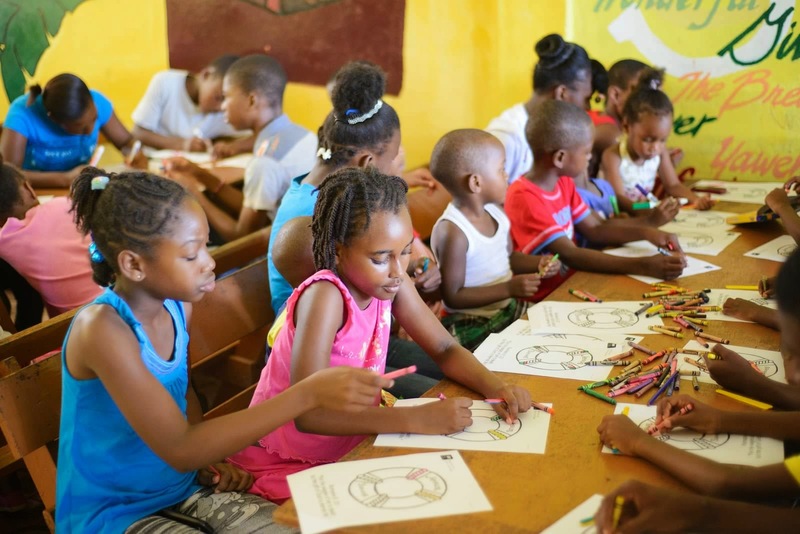 A picture of the kids my daughter worked with in Jamaica. 5. 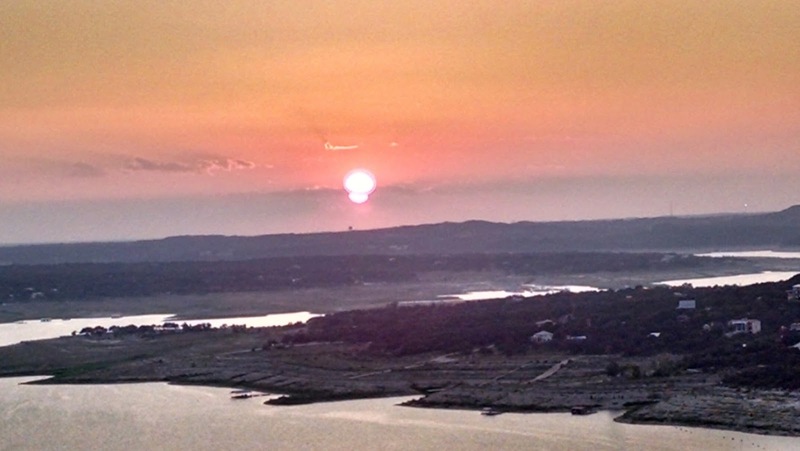 Sunset over Lake Travis (in Austin) taken last Friday. Be sure to link up with Friday Five, and have a great weekend! So awesome that you daughter went over and served like that! That truly would be such an awesome experience. It truly is so sad about that doctor, and someone who was giving so much and doing so much good. I can't imagine what it will be like when my kids go to college, definitely bitter sweet but yea I think I will I cry a lot. My baby is about to start preschool, so I have a long way to go.